The appointment by an elected official to a prestigious commission should be a point of honor for the person, and their community. An entity, like the Hidalgo County Regional Mobility Authority, which is run by a board of respected businessmen including construction mogul Alonzo Cantu and banker S. David Deanda Jr., who serves as its chairman, is responsible for overseeing millions of dollars in transportation and roadway plans for the Rio Grande Valley. Those named to such a board with such responsibilities should be beyond reproach. We wonder then why Hidalgo County Commissioner David Fuentes did not think that his appointment on Tuesday of his uncle to fill the Precinct 1 slot afforded to the HCRMA would be a conflict of interest or raise any questions. This is a clear nepotism violation of state law and the appointment should be rescinded immediately. Title 5 of the Texas Government Code regarding ethics and nepotism, 573.041 states that a “public official may not appoint, confirm the appointment of, or vote for the appointment of an individual to a position that is to be directly or indirectly compensated from public funds or fees of office if the individual is related to the public official.” Section 573.023 of that code lists unacceptable relationships to include an “uncle who is a brother of the parent of the individual,” which is exactly what Reyna is to Fuentes. 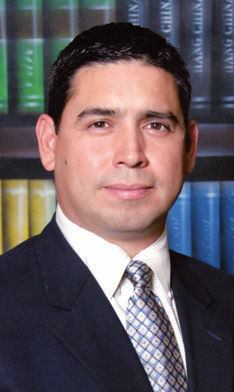 And although Reyna would draw no salary or compensation from the volunteer board, the board regulates projects using millions of dollars of taxpayer funds and is viewed as extremely influential in one of the most important matters that a growing region like the Rio Grande Valley faces: transportation infrastructure. In making his nomination during Tuesday’s meeting, Fuentes mumbled Reyna’s name and it was barely audible. There were no objections from commissioners who quickly unanimously approved the appointment and moved on to another item. It happened so fast, in fact, that we sought out and asked Fuentes’ chief of staff, David Suarez, who happens to be the mayor of Weslaco, to repeat the name for us, which he did so hesitantly. On Wednesday Fuentes told us that he was unaware that this appointment was in any way violation of nepotism rules. “I wasn’t or hadn’t been told there was a conflict. But if it was then I will rectify it. The appointment doesn’t take effect until Feb. 1,” Fuentes said. Fuentes went on to explain “there are some people there (in court) who had been informed about the appointment and they didn’t say anything to me,” and he added that he promises to “ask our legal department their opinion” on the matter. We appreciate his promise to seek proper legal advice and to “rectify” the situation, which in our opinion means replacing this relative as the appointee with someone not related to Fuentes. We also urge that if in the future a similar situation arises that county staff and commissioners who are aware of the potential conflict will speak up and helpfully advise their colleagues. Elected officials who are entrusted by the public to make appointments to a board, such as this, should do so with careful consideration and thought and recognize the community’s scrutiny of the role these leaders will play and how their decisions on road placement will have lasting affects on our region for decades to come. The public’s trust and perception of elected officials can often be one in the same, and must be preserved and fostered, for the community’s sake, at all costs.